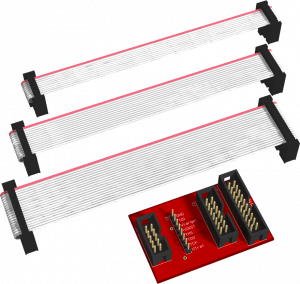 The programming adapters transfer the firmware to the target system's flash memory. Support of standardized protocols ensures compatibility with common development environments. In-system programmer with SPI and JTAG interface for AVR microcontrollers. SP DUO 2 is included in the Ethernut 1 and Ethernut 2 starter kit. In-system programmer and debugger with JTAG interface for ARM microcontrollers. Turtelizer 2 is included in the Ethernut 3 and Ethernut 5 starter kit. 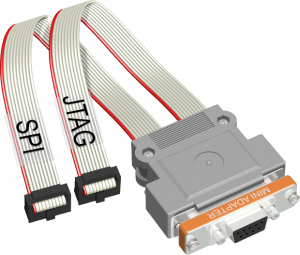 Pluggable adapter for use with Turtelizer 2 and targets with 14 and 20 pin JTAG connectors. Allows to use Turtelizer 2 with Ethernut 5 and the Elektor Internet radio.